I got up and out of the so called campground early. I call it so called as I was put in a general parking lot on a slope with only bathrooms available. I pad $25 for the night. When i drained the sink in the camper I had to swipe the water down the drain.I was out before 8 am and headed down the narrow winding road down the mountain. I twisted and turned around the mountain making my way back to just north of the Golden Gate Bridge. As with other spots during my trip this drive required full attention as there are no guardrails and stop signs on steep inclines. It was a challenge with people in a rush behind me. When I got down it was now in the middle of rush hour and I didn't have internet to plan out my days travels at the campsite so I needed to get off the highway just before the Richmond / San Metaeo Bridge to program my trip. I decided this am to move away from San Francisco before the next weather front makes its way here for Saturday night with rain and move on toy next stop with good weather. 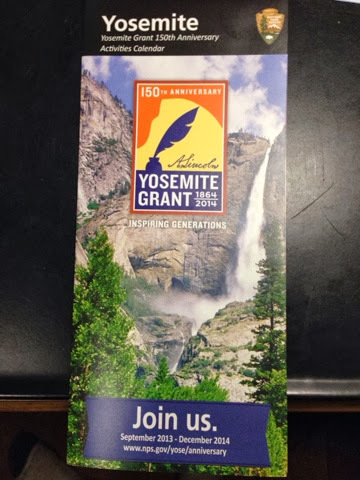 My destination was Yosemite to tour & hike or bike. 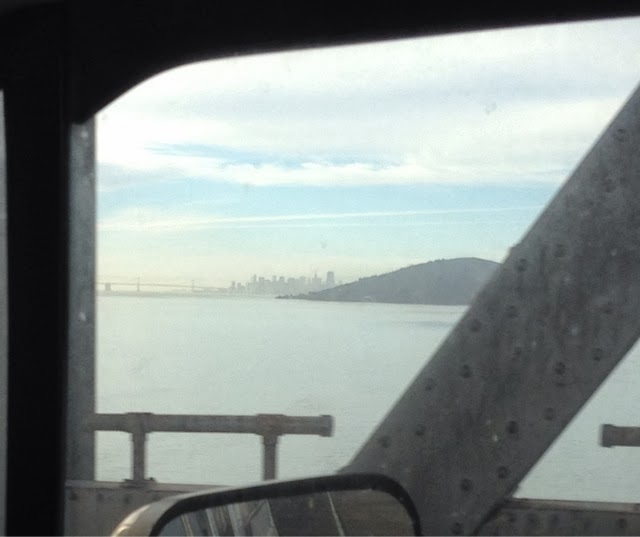 Here is the view of San Francisco from the bridge. After I got over the bridge I headed south through Oakland and then west towards Stockton. I did hit some stop and go traffic along the way but it wasn't that bad. Listening to the radio there were more problems on the road. 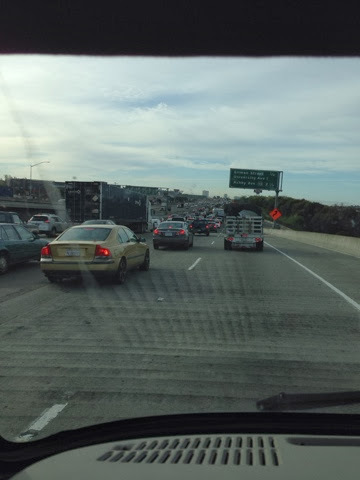 There was a rollover on the Bay Bridge and other accidents making a lot of other peoples commute a standstill. 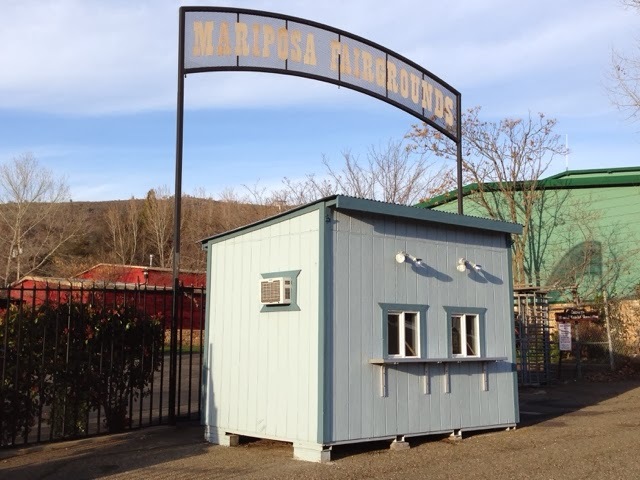 My destination for the night was Mariposa, CA. 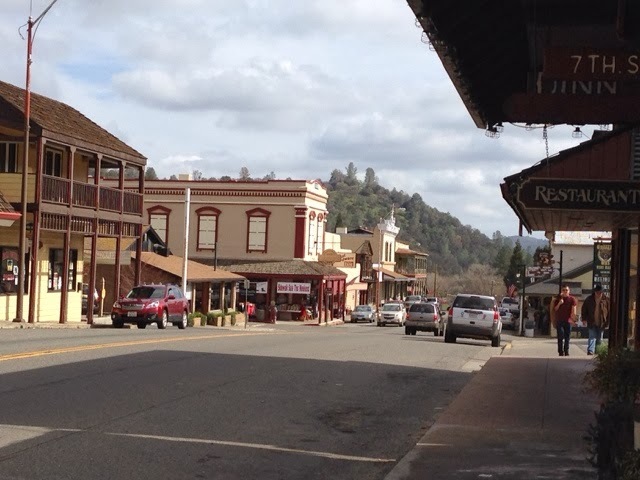 A quaint western town with a small center and many shops, many focused on the tourist business being the center entrance to Yosemite. After a walk around downtown I drove south to the only RV campground in town at the County Fairgrounds. I could have gone to Yosemite but their sites do not have services and I wanted services for the night electricity & WIFI is what I was looking for. As with other campgrounds being a weekday and off season there are only four of us camping here tonight. Tomorrow I head out early for the hour ride to Yosemite. I don't plan on staying there right now but if I do and there is no cell service there may be a delay in blogging. 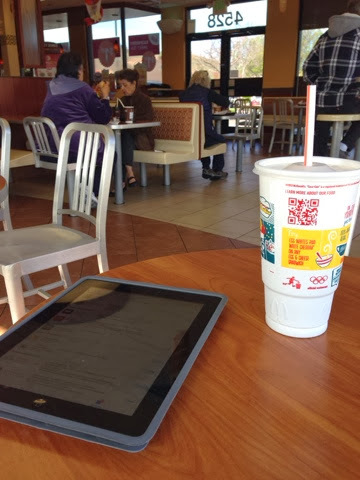 Here is a typical picture of my table at McDonalds for unsweetened ice tea and WIFI. My cell plan has 6 gigs of data per month and I can easily go over that number so I monitor my usage and stop using near the end of the month like I did in January & February. I have now learned to sync when I have WIFI or stop and get it along the way thus saving my data for when I need it and don't have WIFI. It also gives me a morning break to stop at McDonalds. Today I had 23 apps on my phone that needed updates and 3 on the iPad. Once I get started other apps show up needing download. Not all WIFI is the same as public WIFi is shared by users. If I go in and WIFI is slow I just sync email and leave as it isn't worth the time and aggravation. There is WIFI at the campground tonight and I have been wanting to watch a TV show and needed a good connection. Downloaded new podcasts for my next road travels. I walked up the hill closer to the site of the WIFI to get the strongest signal to download apps to my phone as fast as possible. Before picking my spot I walked around with my phone sniffing out the WIFI signal and picked my camping spot with the best signal strength. The only problem is that the best signal is on the dash of the camper so I sat in the captain drivers seat and watched the show a a movie. I also checked the cell service and I can only get one bar outside the camper and none inside. 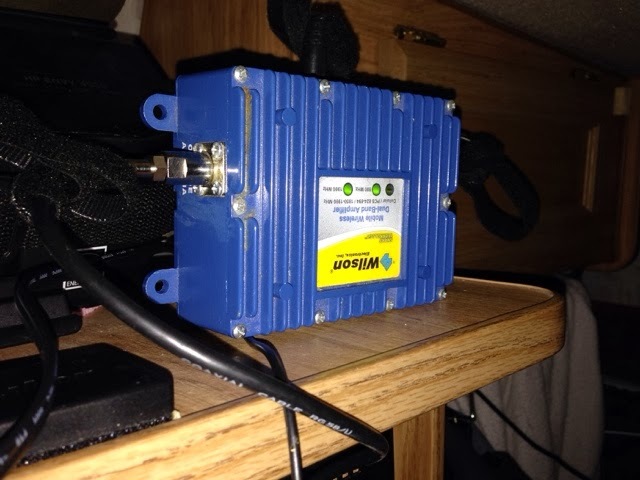 I broke out the cell phone amplifier and after setting it up I have 4 bars in the camper. 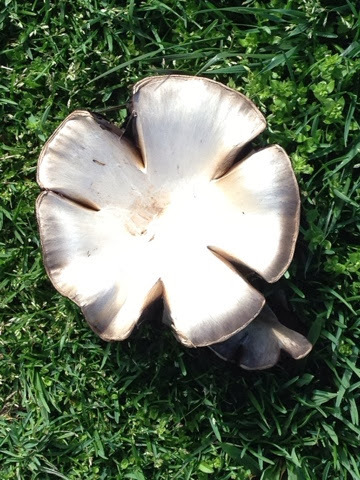 I will leave you with this beautiful picture of a mushroom that is at the campground. Did you watch a movie on the Galapagos? I see Charles Darwin's photo on the screen of your iPad.